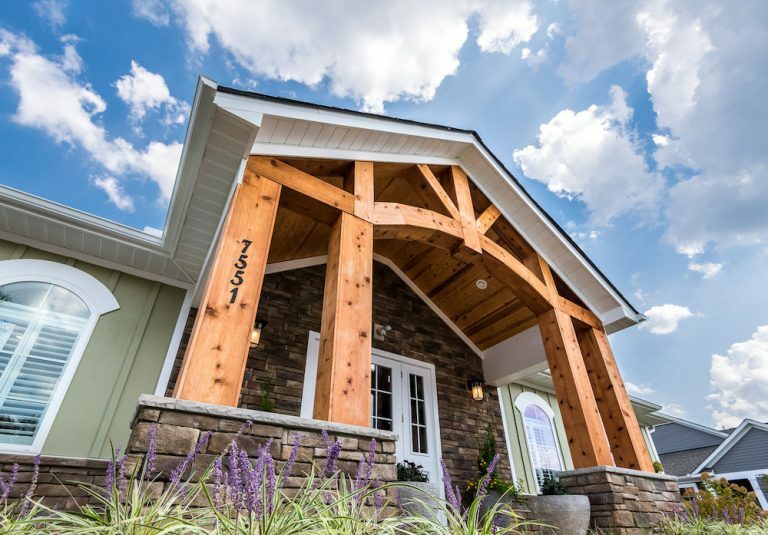 At Cornerstone Homes, our spectacular homes and 55+ communities are designed to enhance your lifestyle and turn each and every day into a new adventure. The moment you move in, you’ll find that there’s a whole world of opportunities waiting for you at your front step — just ask our homeowner, Barbara! With her family just 3 miles away, Barbara found that the charming Villas at Ashlake in Chesterfield was the perfect place to settle into and start her next great journey. She decided upon the popularCanterbury to call home because it had plenty of room for all of the family furniture she wanted to keep. In fact, her beautiful master bedroom is filled with her bedroom set, and the guest suite has her parents’ heirloom furniture. While Barbara considers herself a “homey” person, she now is spending her Fridays playing dominoes with the ladies in the clubhouse and attending happy hours. One of the best parts about living in the Villas at Ashlake is that she enjoys the comforts of her own home, but always has a social event available to her. Whenever she wants to enjoy the company of her awesome new neighbors, a coffee date, game night, cooking demonstrations, or a fun happy hour is just a short walk away to the Clubhouse. Above all else, Barbara feels very safe here and knows that her home is her long-term sanctuary where she can spend her time doing what she loves. Whether she wants to lock and leave to enjoy a vacation, head outside to meet up with friends and family, or spend time in her private sunny courtyard with a good book, the choice is always up to her. When you live here, you’re in complete control of your days, and life has never been better! All of us at Cornerstone Homes are so happy you’ve found your dream home, Barbara, and are part of the Villas at Ashlake family.